As an intern at Ancient Wisdom Productions during the summer of 2014, I worked alongside 2 other interns on the project of a lifetime. Our job was to work with a local not-for-profit client, determine their needs (and wants, dreams, goals), and then develop whatever assets were necessary to help them reach those goals. Our team worked with Fairleaf, a small company promoting the moringa leaf as a tool to help promote nutrition and reforestation in Nicaragua. All of the proceeds from their loose-leaf tea goes towards plants two trees: one moringa tree in a community, school or family garden and then one as part of the "Branch Out" program, designated specifically for reforestation in Nicaragua. 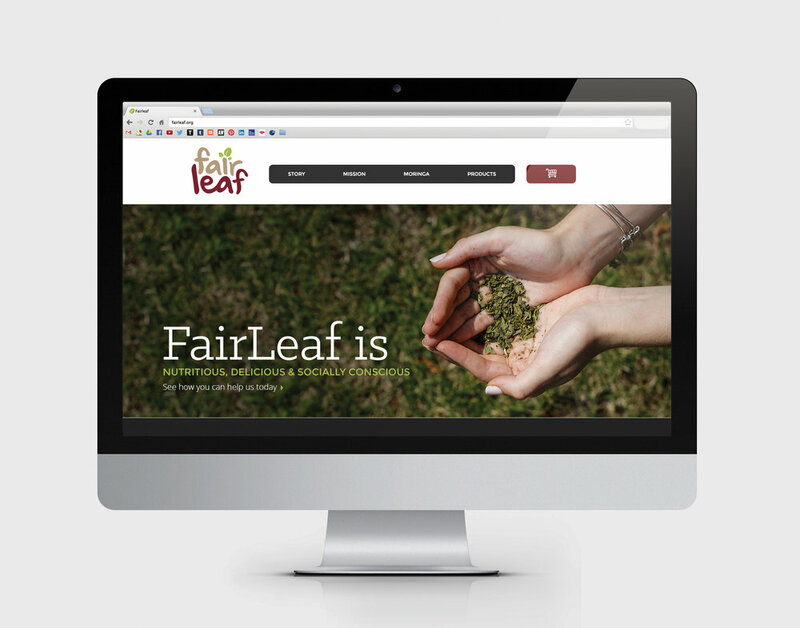 After meeting with Simon and Kara, the CEOs, the team and I were ready to develop a brand identity for the Fairleaf Brand. You can give the entire Brand Guide here. From there, we worked on the creation of many other brand assets the company could use to launch their brand. The development intern tackled the website development and at the end of our time at the AWP offices we were able to launch a fully functional website, complete with online ordering options! You can visit the site here.